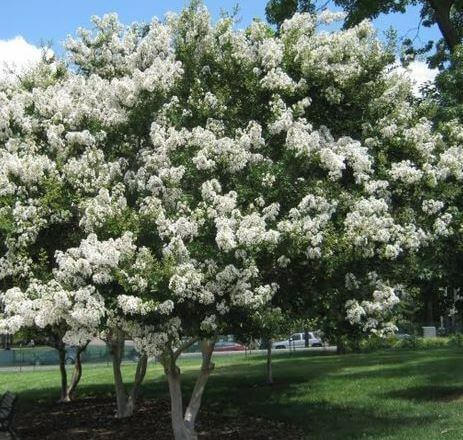 A rapid growing, popular variety with beautiful showy white flowers that blooms throughout Summer, a brilliant contrast to the deep green canopy. A lovely ornamental tree, with distinctive markings on a smooth, sleek white trunk. Symmetrical canopy with a consistent shape outline. Grows best in full sun, rich and well drained soil but will tolerate less hospitable positions once established. Tolerates a variety of soils including clay; loam; sand; acidic and alkaline. Grows well in limited spaces in urban areas such as along boulevards, in parking lots, and in small cutout pavement sections, if provided with some irrigation. Requires little pruning to develop a strong structure.